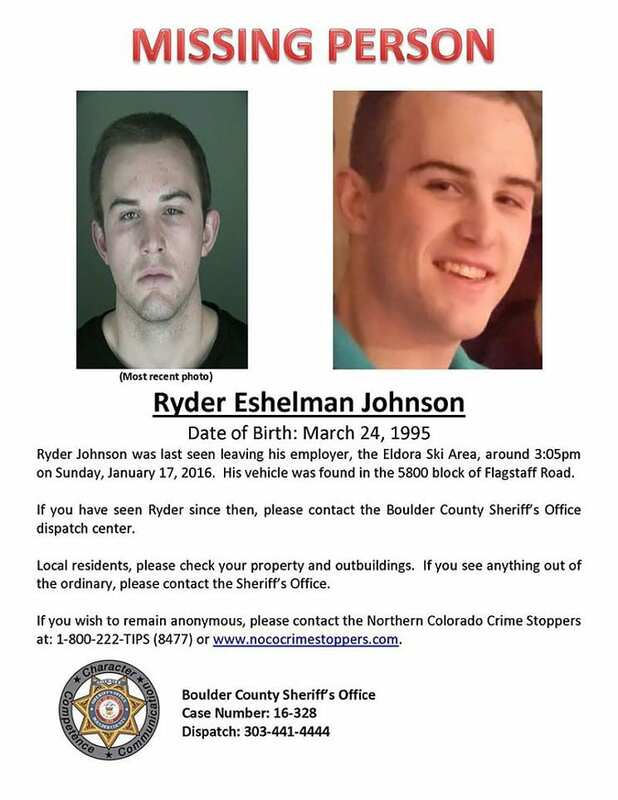 Ryder Johnson was 20 years old when he disappearance on January 17, 2016. Johnson was last seen leaving his job at Eldora Mountain Resort at about three in the afternoon. After several weeks of searching for the young man, search crews and rescue teams have only been able to locate Johnson’s car. The car was found the night of January 17 parked at Gross Dam Road in Southwest Boulder County. Ryder’s cell phone and Identification for the Eldora Ski Resort were found near the vehicle. Rescue crews searched Gross Reservoir and Walker Ranch immediately after Johnson was reported missing to no avail. There have been no new leads in the Johnson case. A boot with a severed foot inside was found on June 1, 2016, however though DNA testing it was determined that the foot does not belong to Ryder Johnson. His parents have established a $100,000 reward for any new information that helps find Johnson or leads to an arrest if foul play was involved. The reward expires on the one-year anniversary of Johnson’s disappearance, January 17, 2017.
of governmental agents to collect information, including a requirement that most searches need prior judicial approval after a showing of ‘probable cause’. But there is almost no limit on the use by government of information voluntarily provided by private citizens. In regards to the Ryder Johnson case, The Johnson family created the reward in hopes of receiving new information. The police are no longer actively searching for Ryder Johnson, even though the case remains open. The police will investigate new tips, but they do not have a dedicated team looking for leads. The National Crime Information Center reported 84,961 active missing persons cases at the end of 2015. Persons under 21 years old make up 49.5% of these cases. 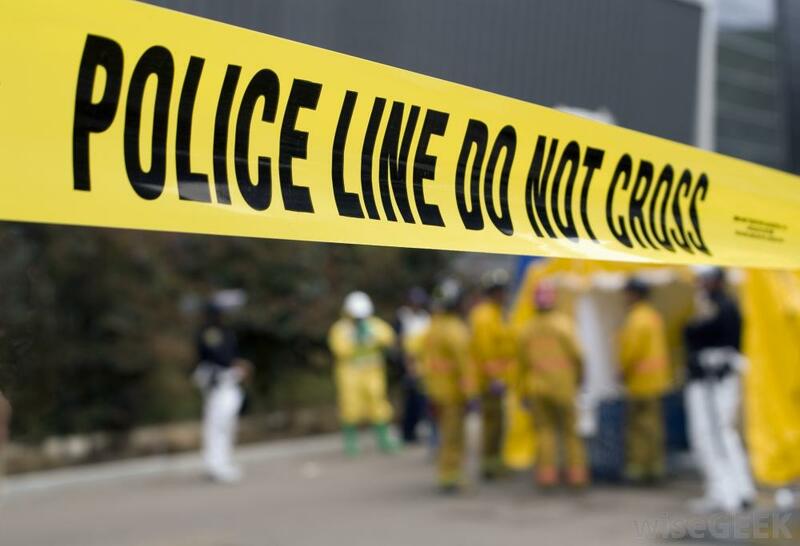 Police Departments across the United States are overwhelmed with missing person cases in addition to homicide and larceny cases. Local law enforcement only have so many resources to devote to all of these areas of crime, so in order to ensure your case is being given the full attention it deserves hire a Private Investigator to take a look at your case. 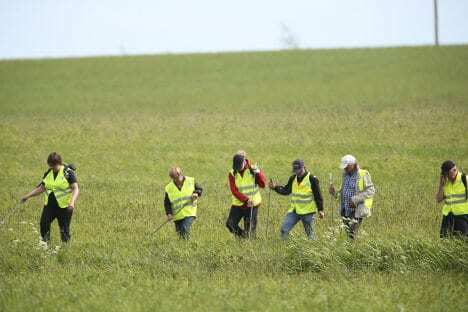 Media attention can be extremely helpful in generating tips about missing persons. Keeping the media engaged in your loved ones story can be challenging, but it is important to keep people aware of your loved ones case. Community engagement is another avenue for generating important leads in your loved ones case. More people in the community may have information in the case, and providing them with a way to contact a tip line or come forward with information is important. Local searches also require volunteers; engaging your local community can produce helpful volunteers. Setting up a Facebook page is another way to spread awareness and information about your loved one. These are just a few of the steps you and your loved ones can take to help law enforcement find your loved one.